Prevent protein degradation and stabilize phosphorylation with this all-in-one cocktail of protease and phosphatase inhibitors. 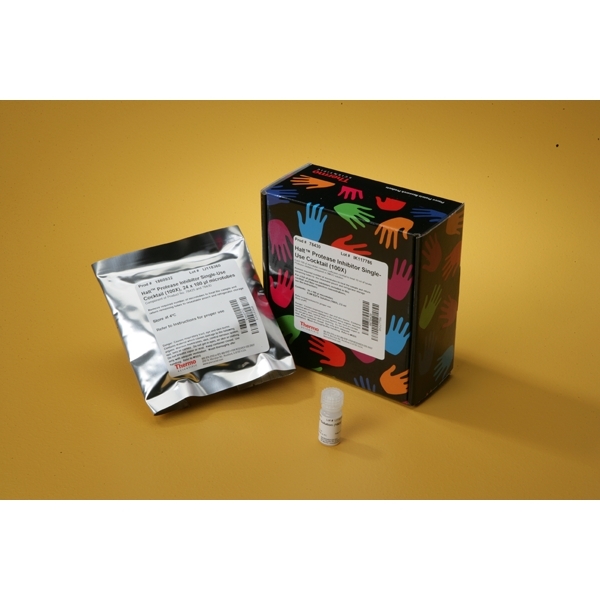 This broad-spectrum Halt Protease and Phosphatase Inhibitor Cocktail is specifically optimized to protect proteins from degradation during extraction and purification. The cocktail contains inhibitors against the major classes of proteases and phosphatases, targeting aminopeptidases, cysteine and serine proteases and serine/threonine and protein tyrosine phosphatases. To promote the inhibition of metalloproteases, 0.5M EDTA is provided in a separate tube. 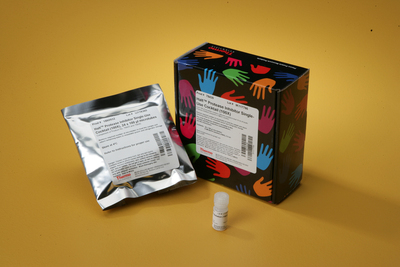 The 100X cocktails, available in regular and EDTA-free formulations and several package formats, are refrigerator-stable liquids that are very easy to use for nearly any sample or experimental scale. 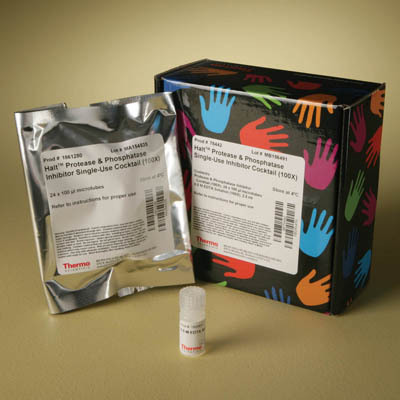 Formulations with and without supplementary vial of EDTA for metalloprotease inhibition, both of which are offered in four package sizes.